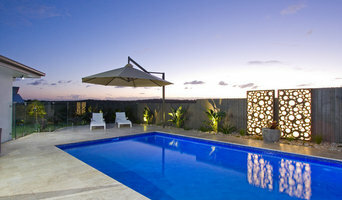 Lifestyle Landscape Design & Construction is a boutique Landscape design and construct business based in Brisbane. Our aim is to improve your lifestyle and enhance your homes liveability through considered design and construction processes. We focus on projects that will benefit from correct application of Landscape design principles and specialise in having one team from design through to completion of the project. Whether you're considering a new pool, outdoor entertaining area, Gazebo, deck or Outdoor Room we can provide you with a complete service with only one point of contact. My Verandah is a boutique landscape architecture studio, specialising in the design of lush, subtropical gardens. My Verandah is passionate about creating beautiful gardens that reflect the people, architecture and environment surrounding them. Every home needs a garden, let us help you design yours. 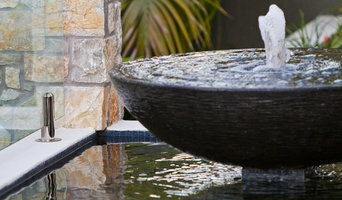 Brisbane Landscaping Co. specialises in high-end landscaping, offering services in consulting, design and construction. 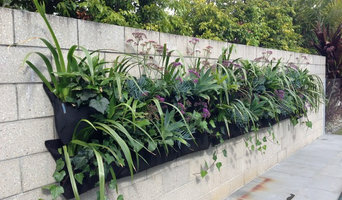 We specialise in green walls, vertical gardens and rooftop gardens. We are passionate about bringing green spaces into people’s lives while adding both visual and dollar value to your home or office space. We notice the details and believe that the small details count. We take pride in our commitment to the job, so you can take pride in your property. From design to installing the final touches, we make sure that every single detail is taken into account to create a beautiful, unique and captivating space. At Porter Designs we create personally tailored landscape designs and have a genuine intention to contribute meaningful work within communities. We are committed to providing high quality designs with unmatched personalised service to ensure your needs are met. Why do we do this? We do it for you and our community, so that you can live and make memories in beautiful spaces. We combine our creative skills with a humble and caring attitude. When designing your project we maintain the creativity of your ideas by listening. Afterwards we enhance your ideas by contributing our knowledge and passion for all things design! DDLA has recently completed significant projects while being published in multiple magazines; however, DDLA has recently closed. our doors & have ceased operations. Founder and Principal Landscape Architect & Urban Designer Michael Mitchell will still be practicing on the Gold Coast. Should you have any enquires please contact Michael on 0424639795 DDLA Landscape Architecture& Urban Design was established in 2006 by founder, Principal and Registered Landscape Architect Michael Mitchell. Michael has acquired local, national and international experience in many facets of Landscape Architecture over the last 18 years in the industry. DDLA aims to provide responsive, client focused landscape design solutions that achieve innovative, luxurious landscape spaces and experiences for our Clients. Our boutique landscape designs also aims to enhance livability / lifestyle through strict adherence to the Client Brief while maximising internal / external site conditions, ensuring innovative use of materials and plants palettes and promoting industry best practices to create truly unique landscape spaces. We believe everyone should have a little piece of paradise to come home to irrespective if your budget. DDLA is a flexible studio with a network of skilled & equally professional service based professionals that provide consultancy services in the fields of architecture, interior design, web and branding services, visual impact analysis, environmental services, civil engineering & planning. DDLA is available to discuss your next project. Our Office hours are by appointment only. Feel Free to contact us and see let us help you get the most out of your site, your budget and ideas. We provide a design/ construct service to discerning clients wanting excellence in design, creativity and implementation for gardens and themed interiors. The SMALL GARDEN is a landscape design and construct studio based in Brisbane. 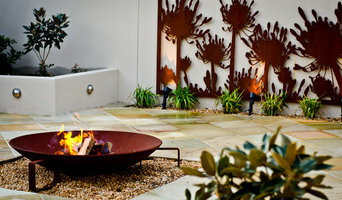 We specialise in urban outdoor spaces – gardens and outdoor areas with city living in mind. •TOWNHOUSE COURTYARDS AND ENTRANCES •APARTMENT BALCONIES •ROOFTOP TERRACES •ENTRANCE & FEATURE GARDENS (RETAIL & COMMERCIAL) •BALCONY POTS AND PLANTERS We offer a complete outdoor design service from concept through to completion, maintaining a personalised approach throughout. Services offered: LANDSCAPE CONSULTATION LANDSCAPE /GARDEN DESIGN LANDSCAPE CONTRACTOR (BUILD) GARDEN MAINTENANCE GREENWALL VERTICAL GARDEN INSTALLATION Our small team has the expertise and on site technical skills in structural landscaping enabling them the KNOW-HOW to solve the unique outdoor challenges small urban outdoor spaces present. 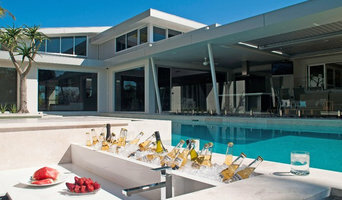 Aesthetic Pools and Landscapes caters to the high end residential market in Brisbane and Sunshine Coast. The Aesthetic Landscapes team have a wealth of experience having served the Brisbane/Sunshine Coast community for over 18 years. Gold Coast Landscapers, nationally recognised conservation and award winning team committed to bringing your garden to life! sod is a boutique design and landscaping company specialising in residential and commercial garden and courtyard design, We pride ourselves in innovative, sustainable design and reliable, robust and enduring construction, which is applied across small courtyard spaces to large scale gardens requiring earthworks and drainage. As urban residential spaces densify, sod has emerged as an innovative and respected designer of small courtyard, balcony and vertical garden solutions. Planting plays a central role in our garden design and we are experienced in designing in a broad spectrum of garden styles, ranging from potted arrangements, productive gardens, arid/water-tolerant, tropical, cottage and traditional styles, contemporary and artistic. sod constantly experiments with new and innovative materials and products, and are open to client requests for the unusual. The integration of art or speciﬁc materials into our garden designs is both embraced and encouraged, in order to maximise client’s self expression. sod is always concerned about the environment and designing gardens or spaces that are water-sensitive, ecologically-sensitive and consider the best use of sustainable materials. We will unashamedly pursue this outcome for all our work. Define is a boutique Landscape Architectural practice specialising in residential & commercial projects, consulting to private clients and the development industry. We focus on translating our great concepts into delivering spectacular results on the ground - where it really counts! Based in Brisbane’s inner north, Define’s founder Andrew Munro utilises 20 years of project experience across Australia to provide the full suite of traditional landscape architectural services. His genuine personal interest in each project produces high quality outcomes in partnership with a trusted network of consultants, contractors and suppliers. Maintaining strong links with the nursery, construction & development industries, as well as local authorities and allied professionals, Andrew cleverly collaborates with these design partners to create spaces and relationships that last. Outdoor Secrets create innovative, functional outdoor places, designed to inspire and enrich the lives of clients today and into the future. Our passionate award winning team, flawlessly transform a space into a destination that achieves an impressionable purpose and ultimately enhances lives while nurturing the natural realm. Houzz is a great place to start your search for the right Brisbane, Queensland landscape architect or designer. You can either browse outdoor photos and find professionals linked to them, or you can browse our professional directory, see their latest projects, read reviews, and narrow down your search based on your style preferences. Once you’re down to a few, reach out and get some quotations to make your final choice.